When we moved into the bungalow, on the first afternoon we were there, Ann called me into the kitchen with a “look at this!”. I expected to see a dead body in the kitchen, or a hole in the floor, or something equally drastic, but she was calling me to see a cow in the adjacent field looking at us over the hedge. The farm at the end of the road is dairy and has around 140 milking friesians, who spend 3 or 4 days a week in “our” field. As we got used to our new neighbours and enjoyed watching them during the spring to autumn, it struck us that it would be good if we could drink the milk that they produce. Well, as of yesterday, we can. Since Christmas, the farmer has been constructing a new “porch” on the side of one of his barns, facing the road and I guessed that he might have been setting up to sell produce directly. 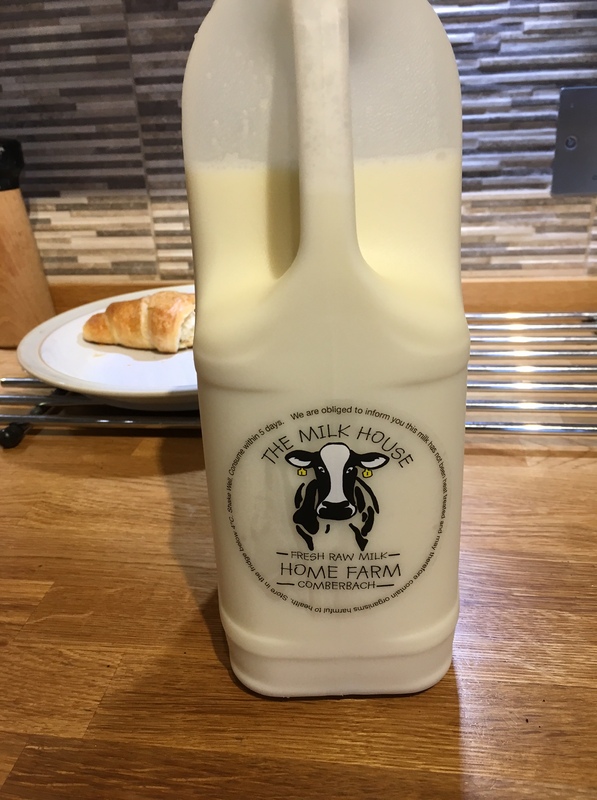 On Saturday, a flyer was posted through the door to say that they are now selling raw milk from a vending machine and so we bought some on the way back from walking Betsy yesterday morning. The milk is obviously whole and not skimmed and is therefore creamier than we are used to, but it does have a lovely fresh taste. This is hardly surprising, given that only 5 hours before this photo was taken, it was still inside a cow! It tastes very odd in tea as we are used to drinking milk from the other end of the rawness scale (Cravendale skimmed), but it is really nice just as a drink or on cereals. Will definitely be buying regularly. Raw milk has far more vitamins and minerals that pasteurised, and retains its beneficial bacteria, but does come with a very small risk of catching some horrid disease, such as TB. This is highly unlikely and, in my opinion, a risk worth taking to buy produce that could not be more local. I will enjoy a glass or two looking out of the window at our neighbours when the weather improves and they can come back into our field. I like living here. It’s good for you. Part of the point of this blog was to allow anyone, anywhere to find it and hopefully take some use from it. One such person who has come across it is a chap in the US, by the name of Virgil. Initially, I thought that his short email asking for details of my blog was a scam, but as it turns out he wants to share a site dedicated to a support site in the US for sufferers of mesothelioma, a cancer caused by exposure to asbestos. “As a result of their website I am now being treated at the National Cancer Institute and the patient advocates have even provided me with financial assistance so I could afford a place to live during my cancer treatments. If I had not reached out to this website I would likely be homeless and more importantly in hospice waiting to die. These people gave me my only chance at survival. I am happy to share this link with all who read this blog and wish Virgil well in his treatment. Back in the first week in December, British Gas installed a new boiler into our place. The old boiler, which was in the kitchen and inside one of the new wall cabinets, was probably from the 1980s and, when considered with the original hot water tank insulated with one of those red jackets that cost £5 from B&Q and the odd pair of old lady’s knickers that had fallen down in the airing cupboard (don’t ask), it seemed to make a lot of sense to have a new one installed. We were advised by the British Gas salesman that a combi- condensing boiler was the way to go. Much more efficient that the old one, we wouldn’t need to heat up a tank of hot water to allow it to go cold during the day, but we could have “instant” hot water by the bathful, whenever we wanted it. The boiler could be fitted in the old airing cupboard, which would be freed of the old water tank and the kitchen would benefit from the additional cupboard. So, this is what they did. It would, of course, take 14 lifetimes to save enough on the gas bill to actually pay for the new one, but what the hell? It would also mean that the installation of a new bathroom a few months later would be able to make use of a properly plumbed in combi shower fitting rather than an electric shower. 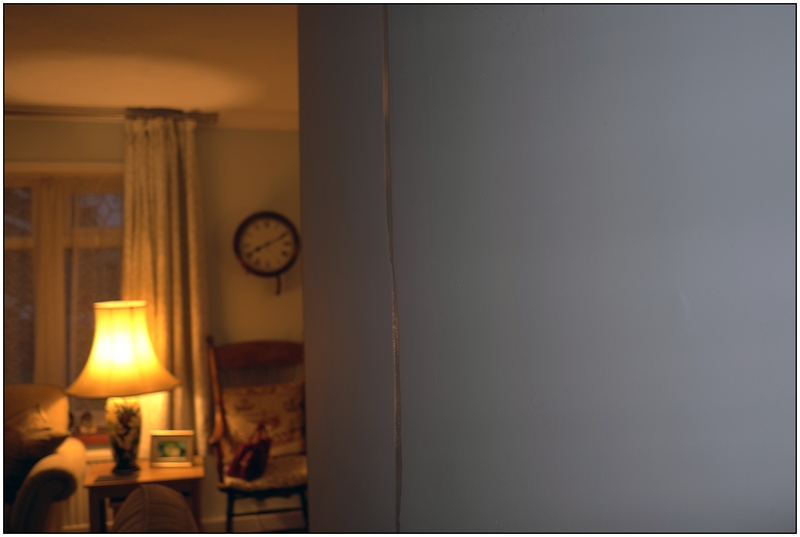 The quote was serious money, but given our recent experience of trying to get a plumber to do work and trusting that British Gas would do a first class job – after all, that’s what all their adverts say in between the house programmes on Channel 4 – on 5th December, they came and did the work. It took them the best part of two days. Initially, it seemed that they had done a good job. OK, they left a dirty hand print on the newly painted kitchen wall. OK, they left a shedload of crap on top of the kitchen wall cupboards. OK, they couldn’t be bothered to put overshoes on or floor protector down, as the wood burning stove guys did. But they left the place with a working boiler and instructions as to how to top up the water when the pressure gauge got to below 1 bar. I was surprised when I had to top up the water a couple of times in the first few days and eventually, fearing that something was wrong, Ann got their Homecare team out to have a look. 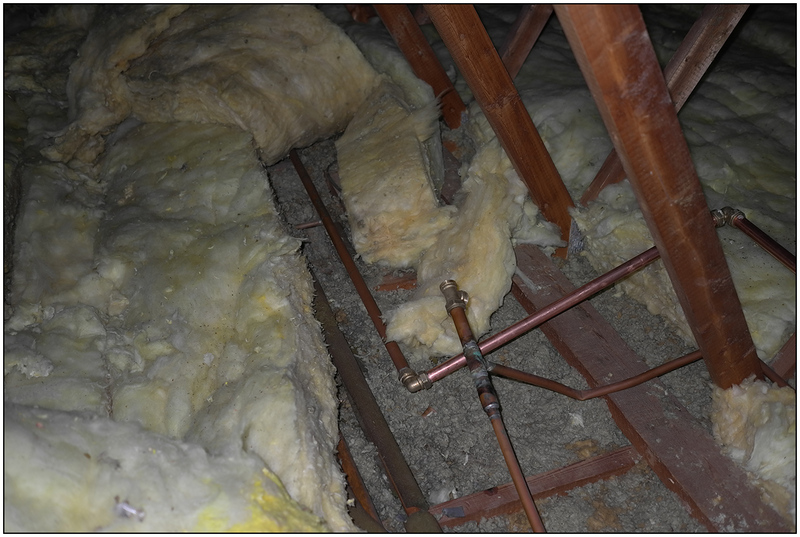 It turned out that they hadn’t tightened up the new thermostatic radiator valves properly and the joints were leaking. The new engineer was also “surprised” at how they had left a radiator in the bathroom, so he replumbed that for us. Until this afternoon, when the ceiling light in the inner hall (between the bedrooms and the bathroom) started to flicker and flash, even when switched off. Then, water could be seen running down the wall in the living room. Homecare were called again and I came home from the office to work at home and to see what the chap had to say. It turned out to be the same man who had come to fix the problem last time. I had assumed that the leak was a direct result of their new installation and while waiting for the guy to arrive, made a formal complaint to British Gas over the phone. As it transpired, it wasn’t quite true, as the leak was coming from a joint on the original system that had been under tension as it was crossed by other pipes. The new system operates at a much higher pressure than the old one and a weak joint will be found out eventually. Fair enough but it would have nice to have told about this risk when we were thinking about having this work done. But what isn’t fair enough is the absolute bomb-site state of the loft as left by the original plumbers back in December. 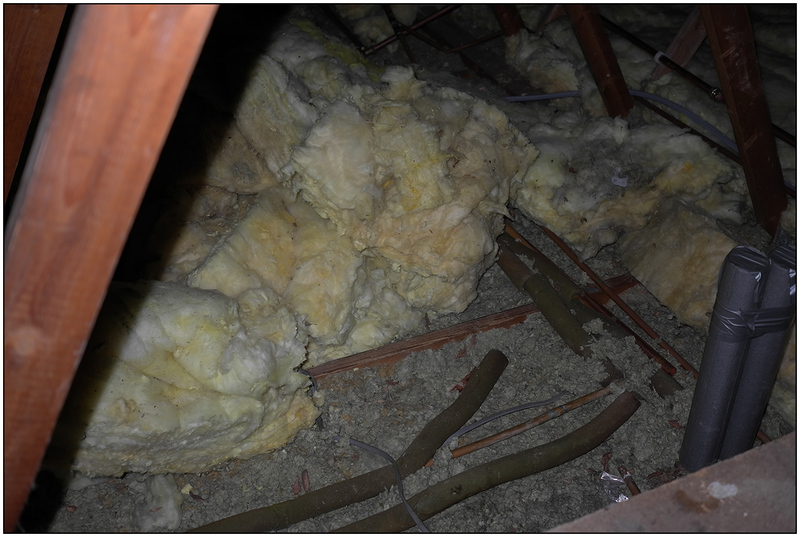 Photos below show the standard of their plumbing but more particularly the condition of the insulation that they left. They had just lifted the glass fibre, thrown it to one side and left it there. 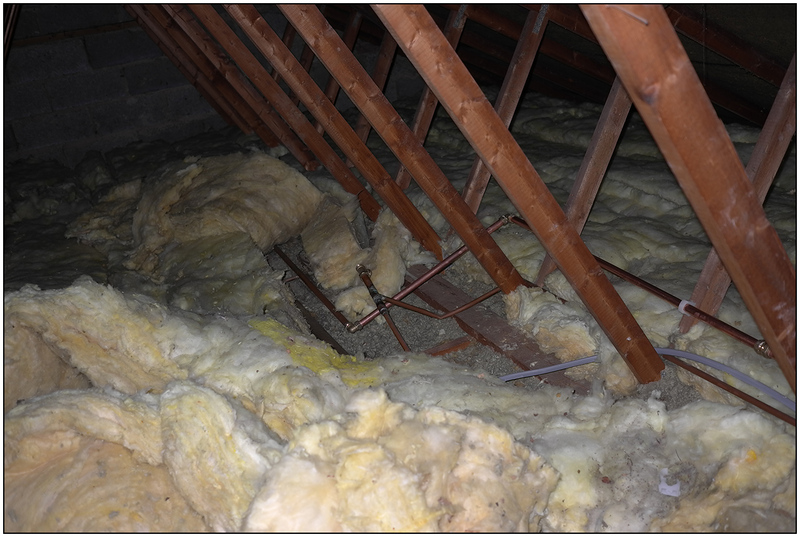 Further, none of the new pipes were insulated, so a load of my new boiler’s heat is heading off into the loft. So, there’s a job for a weekend in the Spring. And be warned. British Gas fitters are just as much cowboys as the next cowboy. Apart from the chap who has now visited twice to sort things out for us, of course. Happy New Year. It’s going to be a good one this year. As I sit here with a stinking cold – not flu, obviously, as I had the jab – I have a little time to reflect on a very good Christmas and New Year. 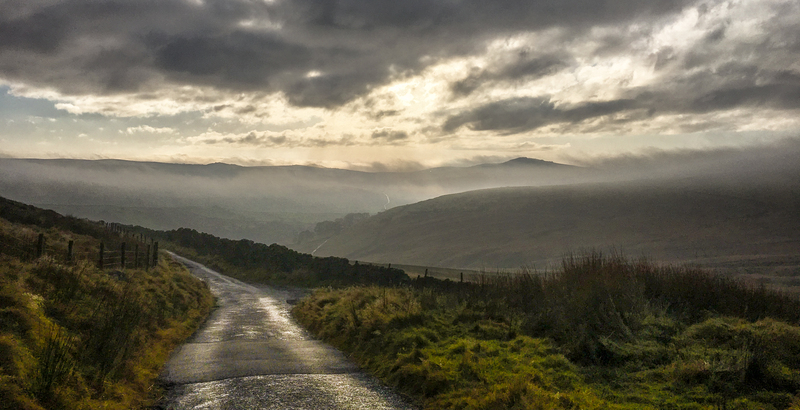 On the way back from visiting my folks in Maidenhead over Christmas, we avoided the horrendous nonsense that is the motorway network at a holiday time and returned via the Cotswolds. 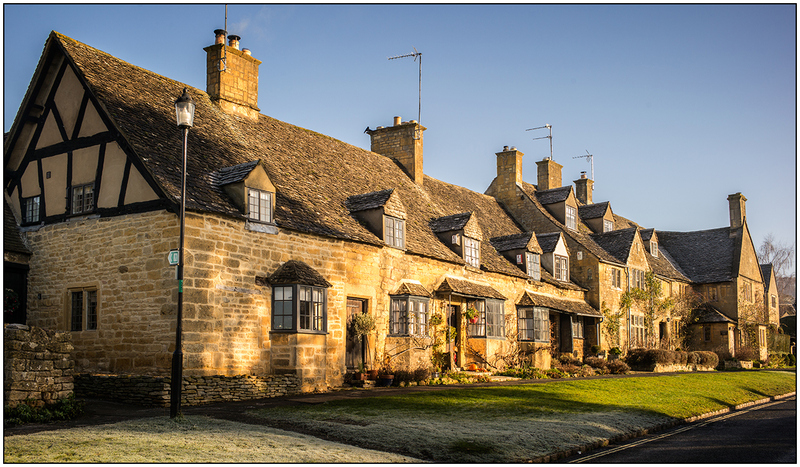 We stopped in Broadway and, on finding that The Lygon Arms is dog-friendly, we cancelled a planned trip to edinburgh on New Year’s Day, and returned there instead. I cannot recommend it highly enough. Very friendly, very comfortable room, excellent food and breakfast and nothing too much trouble. They even offered to defrost my car for me in the morning… You don’t get that in a Premier Inn. Not cheap, but a proper treat. While there, we popped in to Robert Welch’s shop in Chipping Campden and ended up coming away with some kit for the new bathroom (more shortly) and a fantastic kitchen knife. One of those shops where you really could spend an absolute fortune. The bathroom, the last remaining room in the bungalow to be refurbished, is to be done in the last week of February. Since it is the only bathroom we have, it’s going to be a bit of a pain for a week (no shower in the office either), so I can see us making use of the local swimming pool showers for the duration. Still, it’s great that it’s finally going to be done as the existing one is pretty horrible. We gave up on Porcelanosa’s recommended fitters, none of whom would respond to my enquiry, and went with a family-run local company. Will probably have spent more money than the alternative, but at least it’s ordered and on its way. It’s going to make a big difference. The postman also brought a surprise today… what a joke! 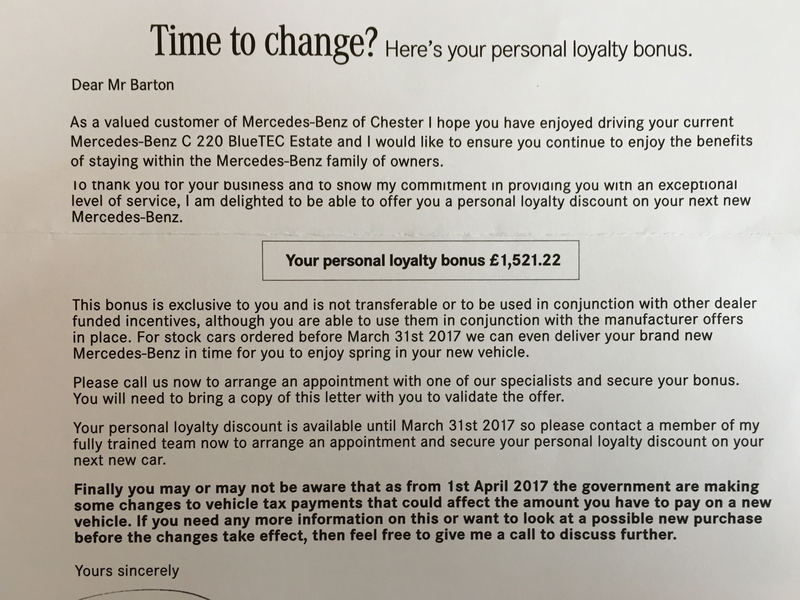 Yes, due to my loyalty to Mercedes-Benz (ha ha! ), they are offering me a personal discount of £1,500, which would be nice, if I hadn’t already told them that I never wanted another one and had a new BMW on order. Clearly they really don’t read their correspondence files, or any history of their customers or cars. They don’t deserve any loyalty, and have had none from me. This discount is also in lieu of any other dealer incentives, which might well have been more than this in any case. I am thinking of ringing them up, but actually wonder whether it’s worth the bother. Probably not, but I have nothing else to do this afternoon. 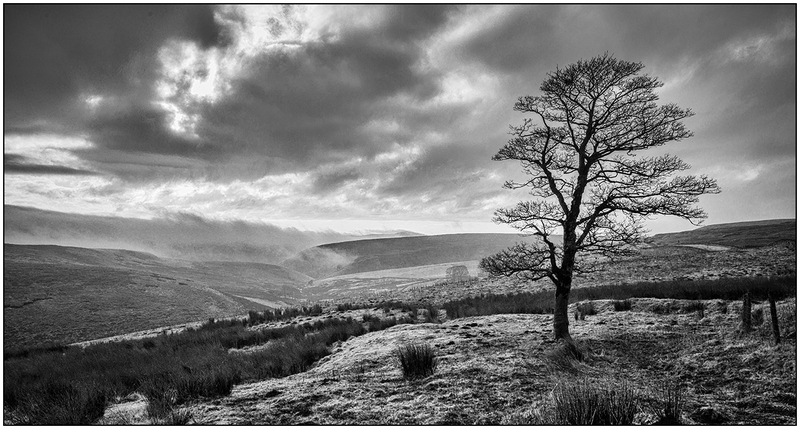 So, here are few shots taken over Christmas and the New Year, either in Broadway (no prizes) or south of the Cat and Fiddle road, between Macclesfield and Buxton, a part of England that never fails to deliver. Update: The dealership both liked my Tweet (that gets posted with this blog) and replied! What a laugh!